In a few days my third book will be off to the publisher, where they will do all the magical things to turn it into an actual book. I'm so excited for this one. It was definitely a fun challenge for me and I look forward to sharing more about it with you in the coming months! One of the projects in this book needed buttons. 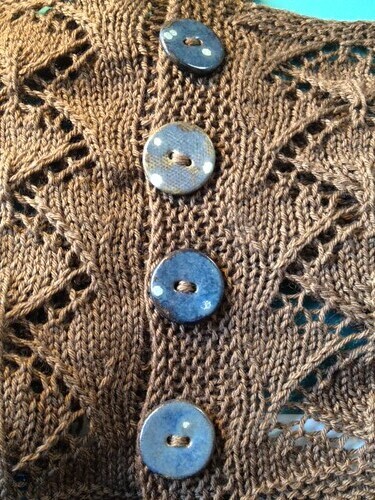 Pretty buttons. I hit Twitter to get some recommendations. Jennifer Raymond recommended I check out My Garage Art. They are parents of a friend of hers and the buttons they make are beautiful! Do you have a favorite place to get buttons? Let me know! 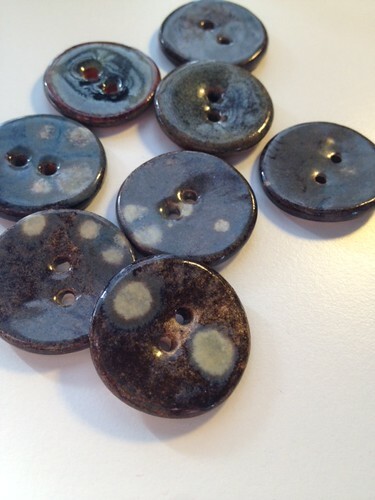 This project has got me thinking about more designs involving buttons!